Syrian government forces have liberated from militants 16 neighborhoods of Aleppo city (populated with 90,000 people), the Russian Defense Ministry announced yesterday after the Syrian army and its allies seized the Sheikh Sa’eed Neighborhood and the Sadcop Fuel Depot from Jaish al-Fatah militant coalition, led by Jabhat Fatah al-Sham terrorist group. According to Chief of the Russian General Staff Main Operational Directorate, Lt. Gen. Sergei Rudskoy over 18,000 civilians were able to left militant-controlled areas of the city. Today, the army and its allies have continued attacks against militants in Karam al-Jazmati, Karam al-Tarab, Amiriyah and Sikarry and in the area of Bustan al-Qasr. 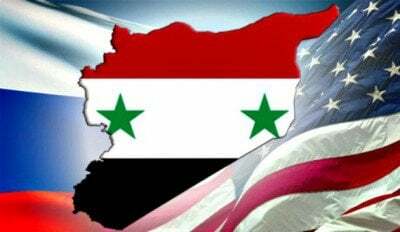 Experts say the strategic goal of Syrian military in the current situation is to fully secure Aleppo city and to launch an operation to develop the advance in the direction of Idlib. At the same time, the government will need to contribute efforts to oppose the Turkish military expansion in northern Syria. The Russian Aerospace Forces continue airstrikes on militant targets in the province of Hama. On November 30, Russian airstrikes were reported in the area of villages of Kafr Zita and Halfaya. In Kafr Zita, they killed 6 members, including a local commander, of the Free Syrian Army’s Central Division that used to shell the Syrian military’s Hama Airbase. Syrian government forces are clashing with ISIS terrorists in the eastern part of Homs province. On November 30, ISIS units attempted to advance near al-Shaer, al-Mahr and Mustadira oil fields, but failed to achieve any success. On December 1, sporadic fighting continued near al-Shaer. Some 8 ISIS members were reported killed by pro-government sources. Meanwhile, the Syrian Air Fore delivered a series of airstrikes on ISIS targets near Sukhnah, Talat al-Awamid and al-Quaryatayn. On November 30, pro-Turkey militants, supported by the Turkish Armed Forces, attacked the joint forces of the Syrian army and the Kurdish YPG in the village of Azraq, located about 6 km west of al-Bab. After a series of firefights and artillery duels, pro-government forces were pushed to retreat from the village. On December 1, the army-YPG forces liberated Tell Rahhal from ISIS amid continued reports about the fighting with Turkey-led forces. Pro-Turkey forces also clashed with YPG units in Qert Weran, Oshali and Sheikh Nasir.